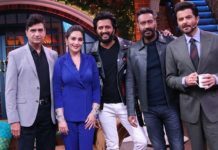 Singham Returns First weekend Collection : After a record breaking start at Box Office, Singham Returns continues to power Box Office by collecting around 77 crores in first weekend. The movie collected around 24 crores on Sunday. Singham Returns first weekend collection were superb to say the least. 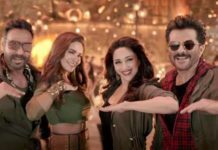 The movie raked in around 77 crores in its first weekend, thus become the fourth highest opening weekend grosser of all time after Dhoom 3, Chennai Express and Kick. Singham Returns registered an earth shattering start on Friday collecting 32.08 crores on its opening day. Although. there was a considerable drop on Saturday and Sunday but still the movie manages to have a fat first weekend. 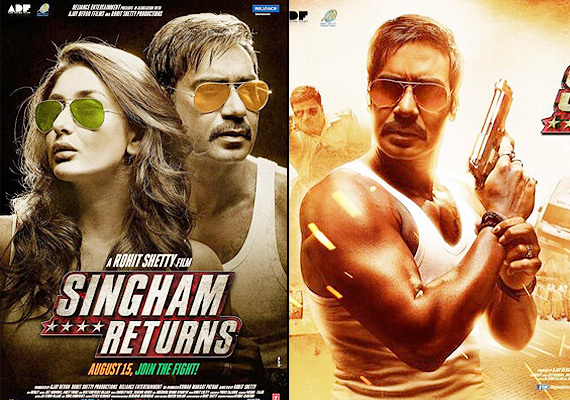 Singham Returns is the highest opening weekend grosser for Ajay Devgn and Kareena Kapoor. It is also the second highest opening weekend grosser for Rohit Shetty after Chennai Express. With Monday being a partial holiday, movie should collect a considerable amount to its booty. The movie is expected to enter the 100 crores club on Tuesday. The big question is, will Singham Returns be able to maintains its pace over the weekdays. Well, the response and feedback from the audience is positive and I believe that the movie will gross at least 150 crores at Box Office. Will it cross 200 crores at Box Office? Well, wee have to wait and watch for the next few days. Stay tuned and keep visiting Blog to Bollywood for more Bollywood bakar.